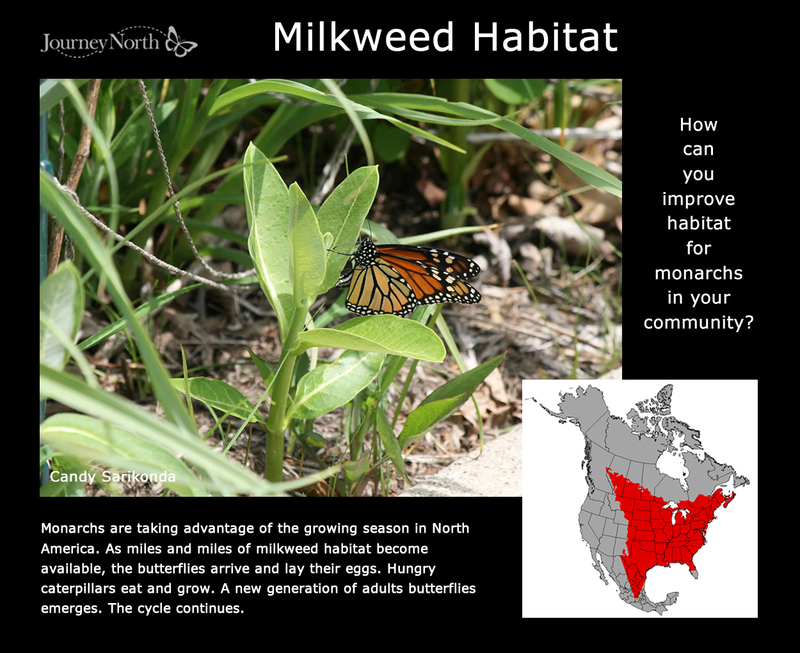 Spring 2017 weekly Monarch News included these journal page specific to current topic. 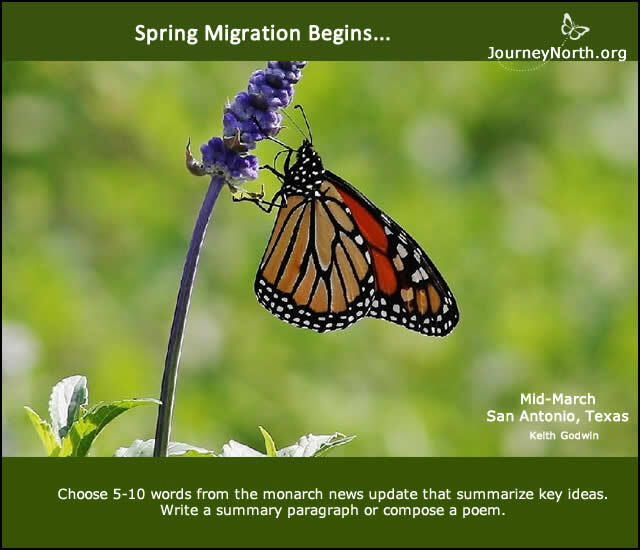 March 16, 2017 Where and When Migrate? 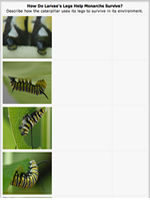 May 4, 2017 Caterpillar or Larva? 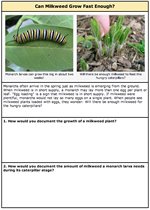 Spring 2016 weekly Monarch News included these journal page specific to current topic. 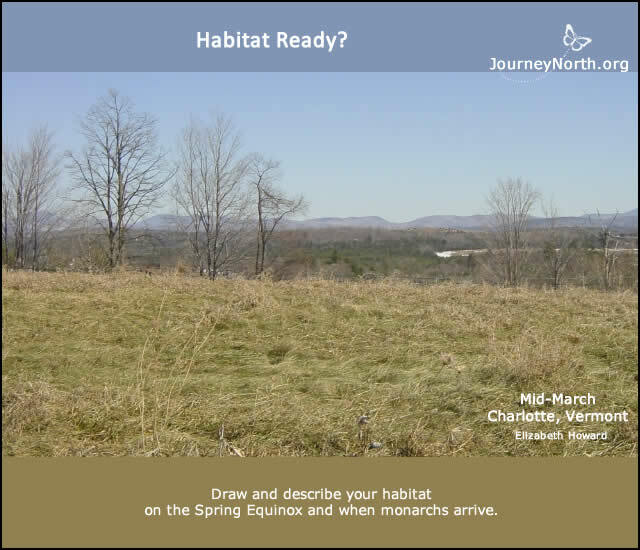 March 10, 2016 Habitat Ready? April 7, 2016 When & Where Travel? 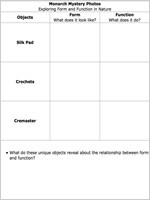 April 21, 2016 How Many Eggs? May 5, 2016 How Population Grow? 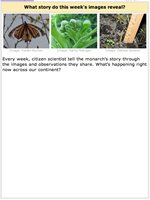 Spring 2015 weekly Monarch News included these journal page specific to current topic. April 16, 2015 Minnesota from Mexico? 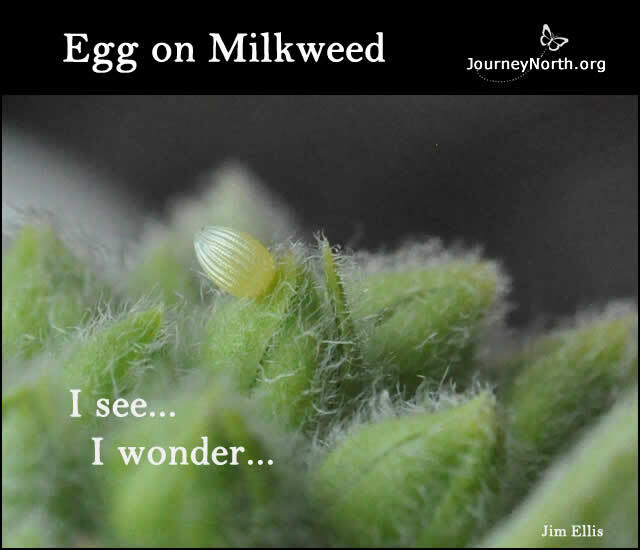 April 23, 2015 How Many Eggs? 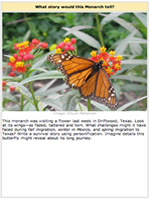 Spring 2014 weekly Monarch News included these journal page specific to current topic. Where Now? 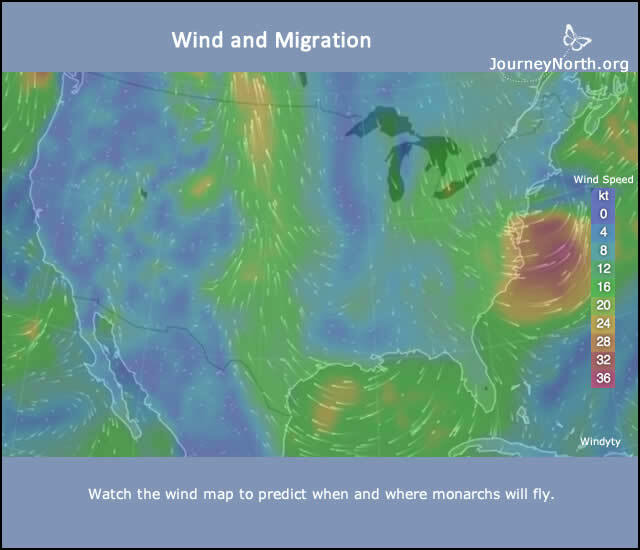 When, Where Migrate? April 3, 2014 How Many Eggs? 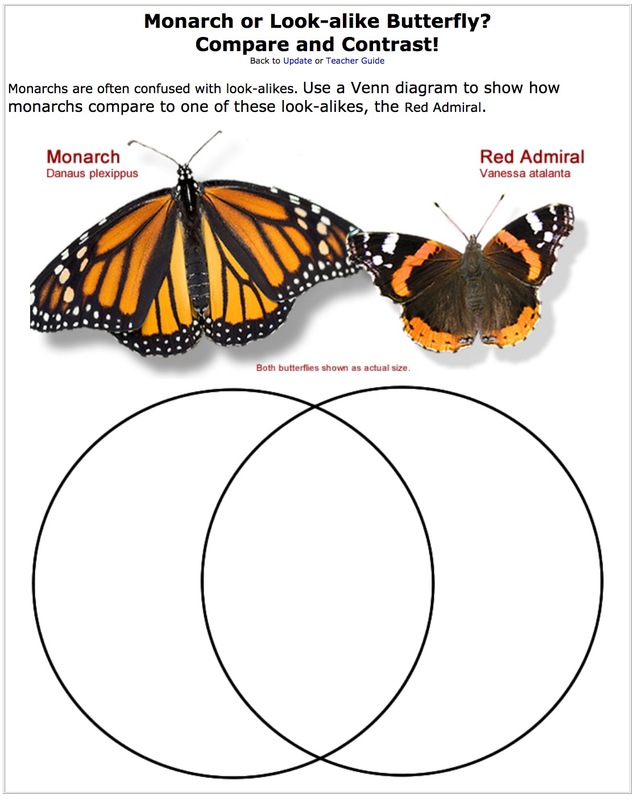 May 1, 2014 Monarch or Viceroy? 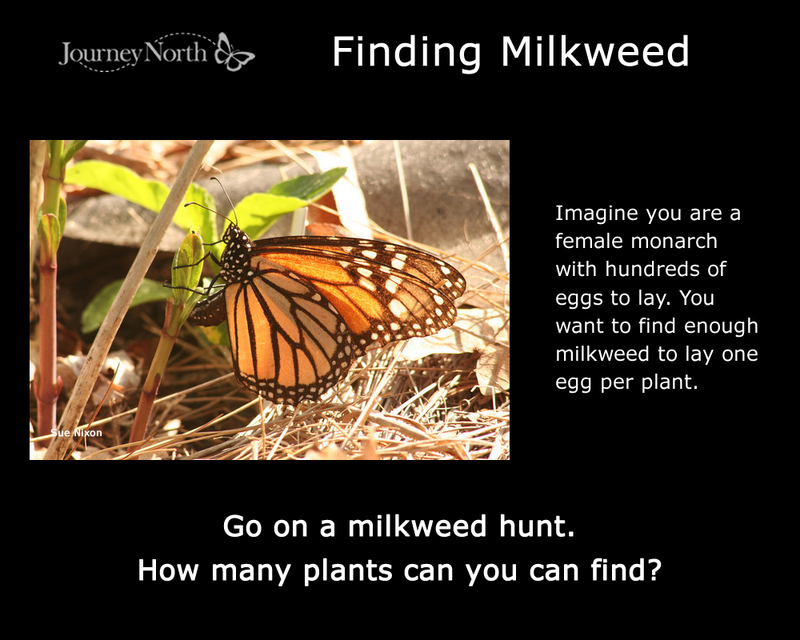 May 15, 2014 How Find Milkweed? 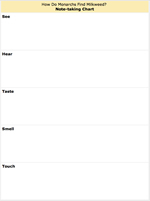 March 21, 2013 What Next? April 4, 2013 How Many Eggs? April 18, 2013 Where Critical Habitat? 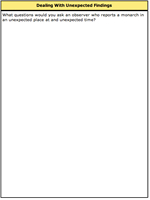 May 2, 2013 What graph reveal? 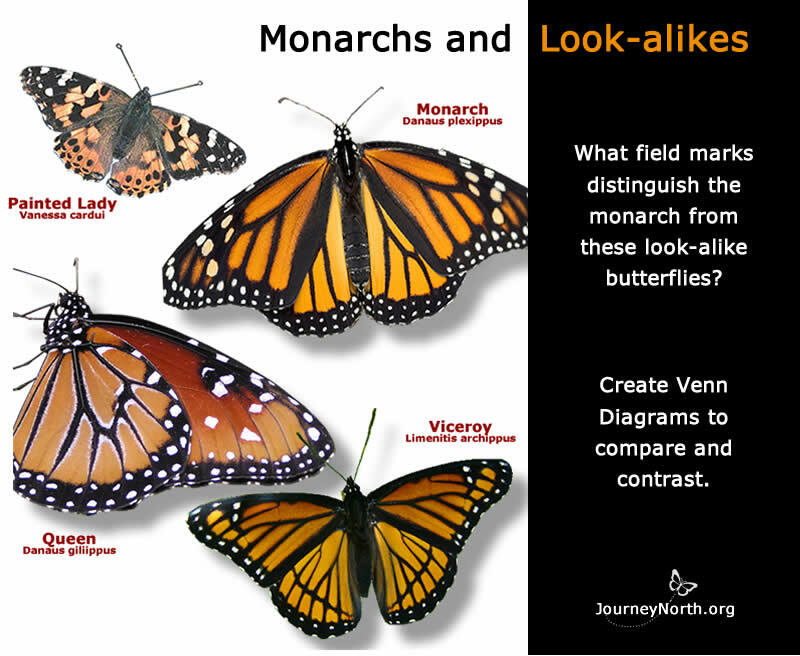 June 6, 2013 Monarch or Viceroy? June 13, 2013 How Far North? April 12 How many eggs? 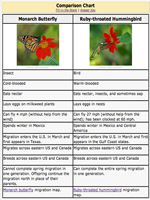 March 10, 2011: Why is Spring Migration a Race Against Time? 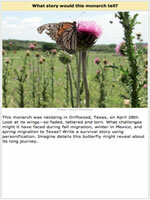 March 17, 2011: Traveling Out of Mexico: Where Will Monarchs Go? April 7, 2011: How Far From Your Hometown? 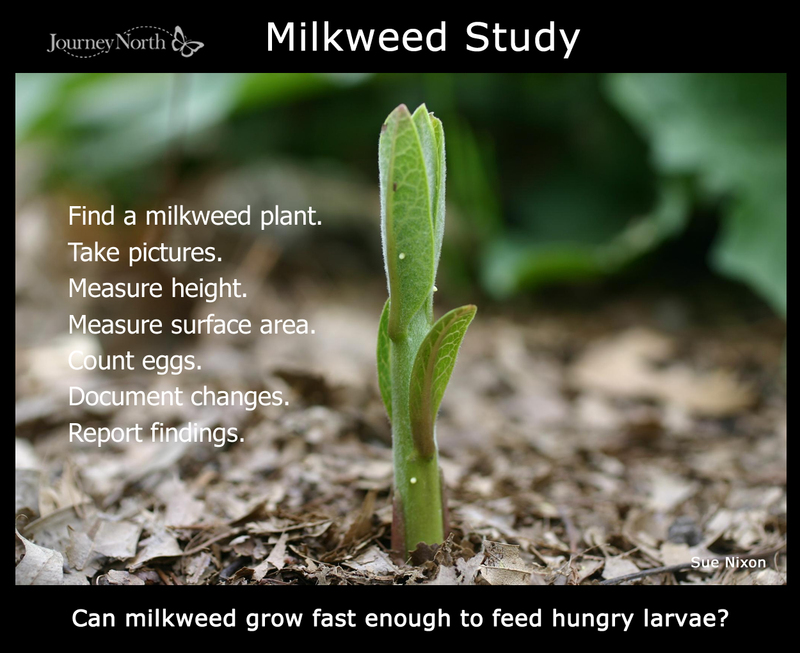 April 14, 2011: Can Milkweed Grow Fast Enough? 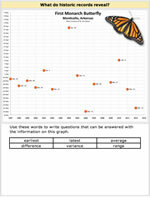 April 21, 2011: Which states are most important to monarchs in early spring? 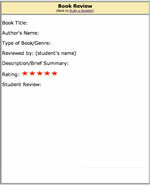 April 28, 2011: Which way was the wind blowing? 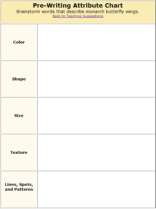 May 5, 2011: How would you answer? 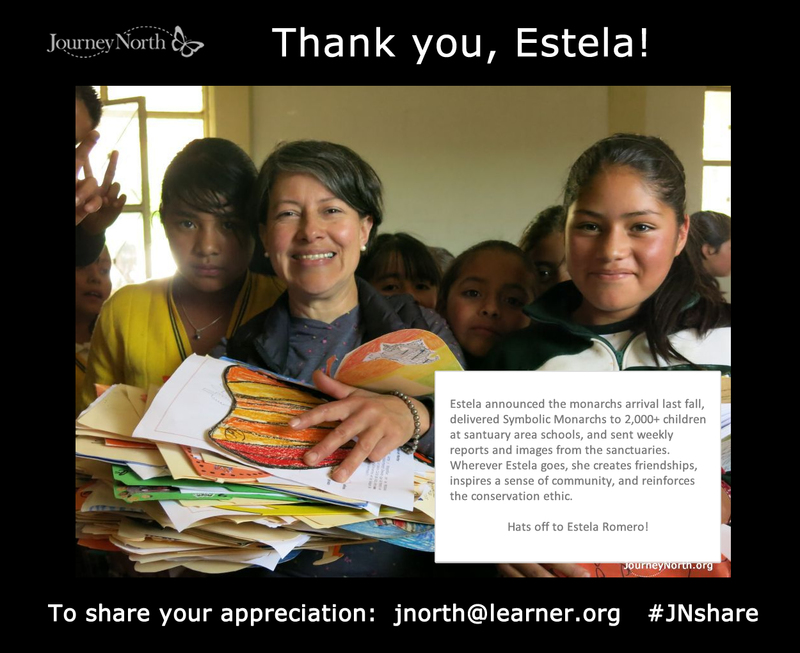 May 12, 2011: Make the News! 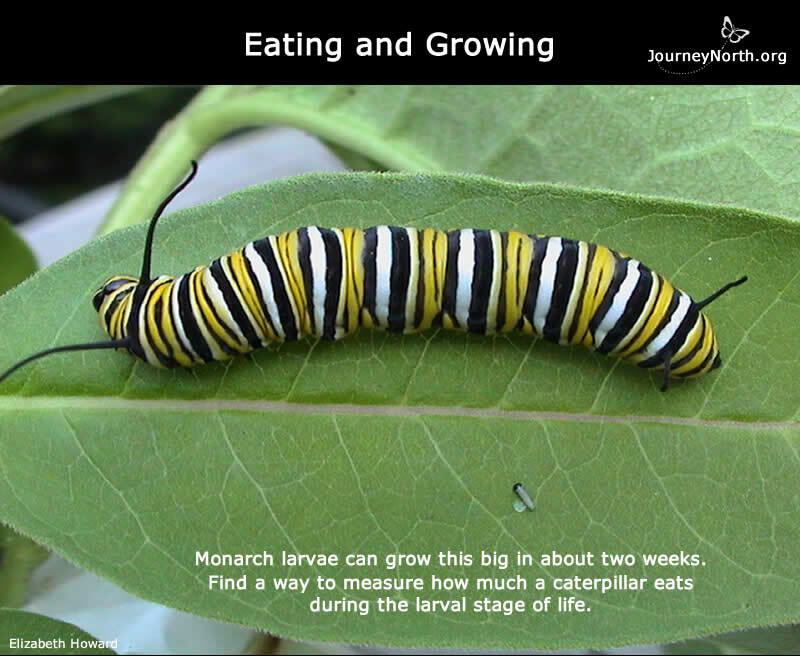 May 26, 2011: How do the monarch larva's legs help it survive? 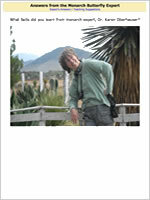 June 2, 2011:How far to Mexico? March 11, 2010: Why is spring migration a race against time? 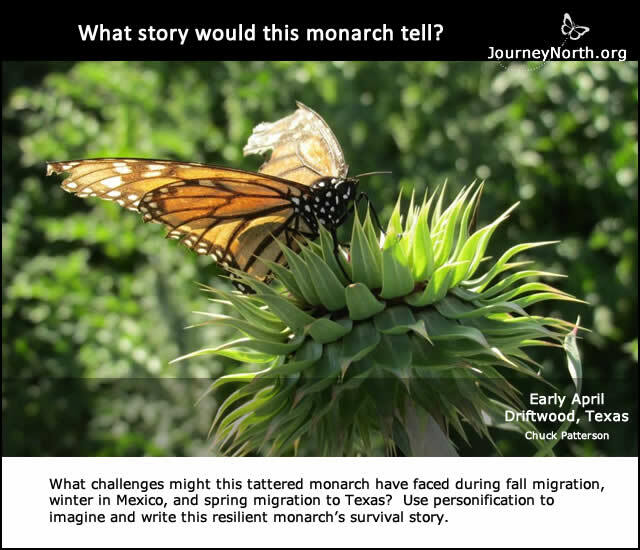 March 18, 2010: Traveling Out of Mexico: Where Will Monarchs Go? March 25, 2010: Comparing Springs: How Does This Spring Compare? 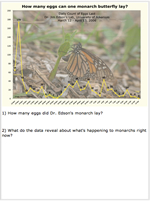 April 1, 2010: Why do you think monarch sightings soared this week? 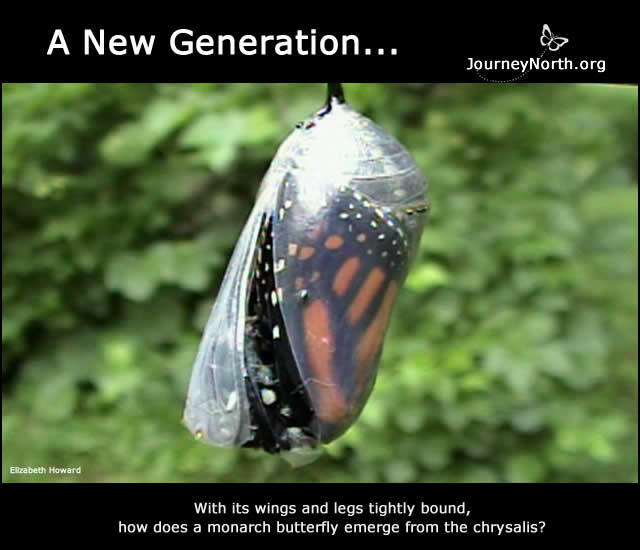 April 8, 2010: When and where will the new monarch generation appear? 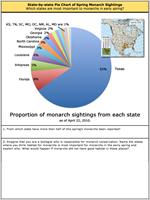 April 22, 2010: Which states are most important for monarchs in springtime? 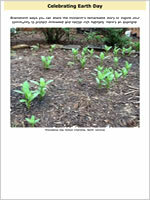 April 29, 2010: Compare Springs: How is this year similar and different? 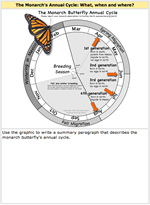 May 6, 2010: How do spring temperatures affect monarch migration? 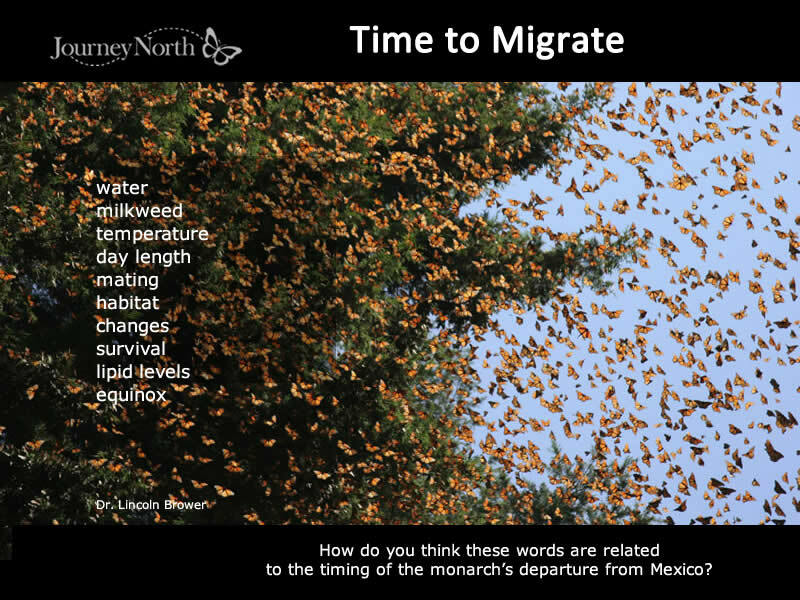 June 3, 2010:How far north with the monarchs migrate in Canada? March 26, 2009: What does spring migration look like? 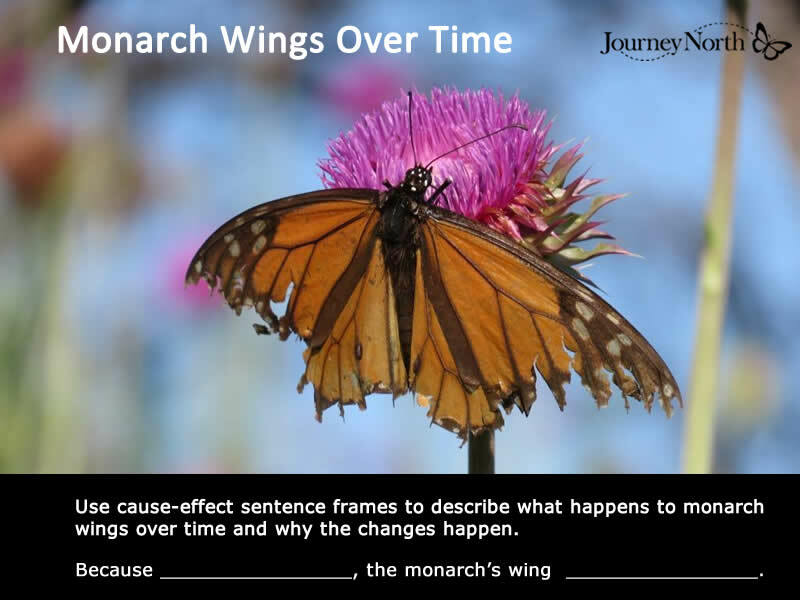 April 2, 2009: Where are the monarchs now? 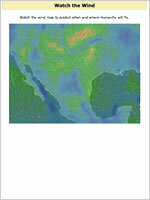 April 9, 2009: Why is the migration moving northeast? 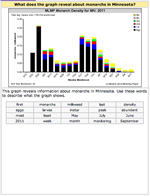 April 23, 2009: Which states are most important to monarchs in early spring? 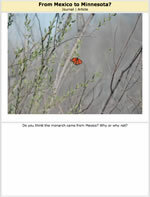 April 30, 2009: Are the monarchs missing the Appalachian Mountains? 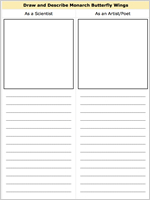 May 7, 2009: How would you answer these common questions about migration? 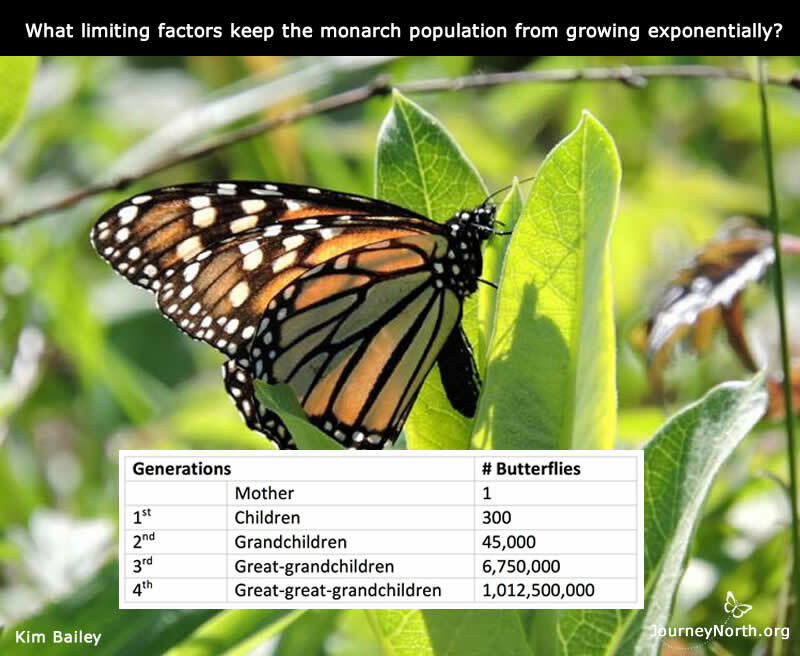 May 14, 2009: Where are people watching for monarchs? 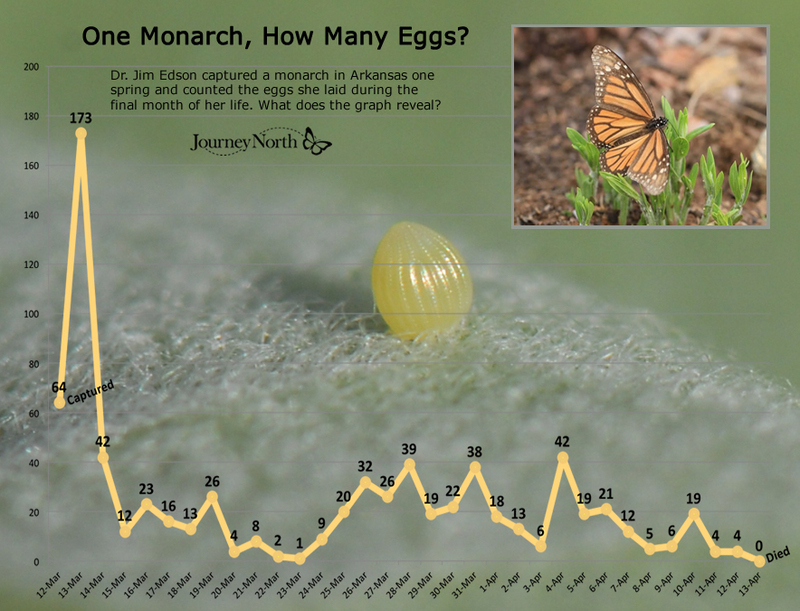 May 21, 2009: How far north will the monarchs migrate? 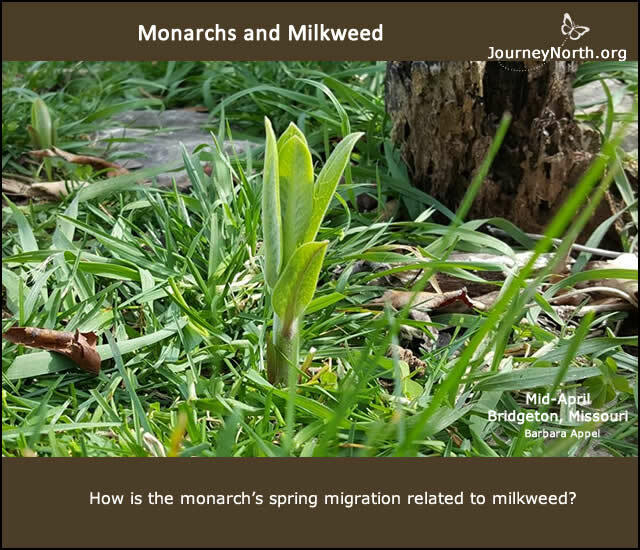 May 28, 2009: How far north do monarchs migrate in Canada? Name the provinces! 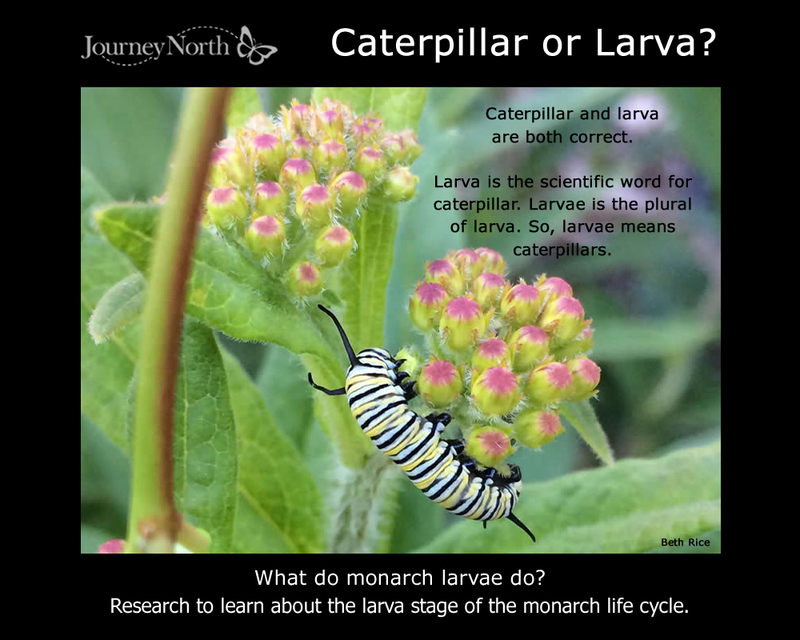 June 4, 2009: How far north do monarchs migrate in Canada? Name the provinces!